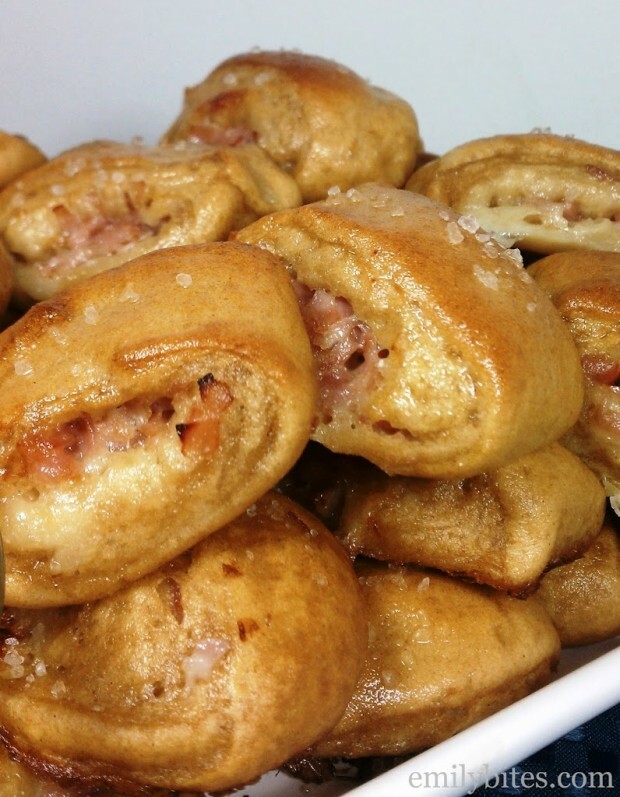 These Ham & Cheese Pretzel Bites are amazing. You may not even care if your team is winning as long as you serve these next Sunday on game day. That is the power of the Ham & Cheese Pretzel Bite. Now, these are a bit time consuming to make (you have to wait two hours for the dough to rise) but if you start the dough when you wake up in the morning, they can ready for kickoff no problem. Trust me, they’re worth it. I let my buttery soft pretzel bites get a little bit crusty on the bottom in the oven because that’s how I like them, but you can bake them however you like. I am a sharp cheddar cheese fanatic (the sharper, the better!) and I thought it was fantastic here, but for all you ham & Swiss lovers, that would be a great choice as well. You can choose your own serving size and no one will ever guess you found this on a Weight Watchers recipe site. 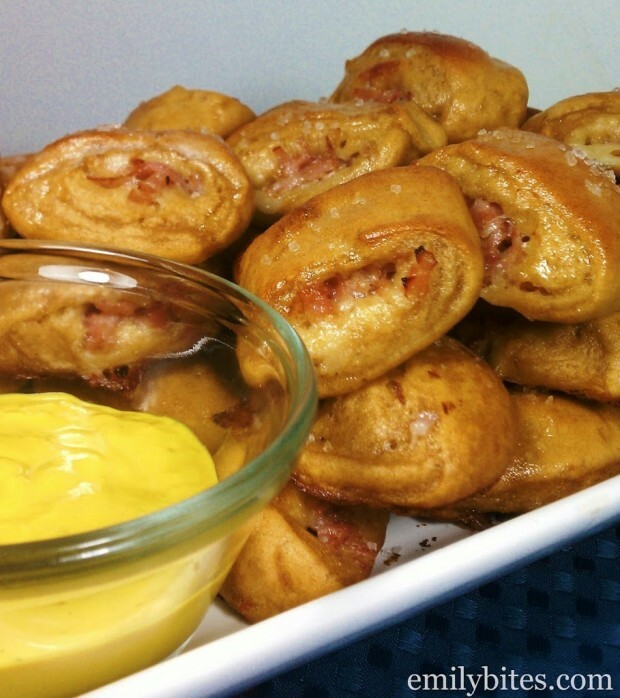 Serve with mustard for dipping and you have a guaranteed hit on your hands! In a large bowl, combine the warm water (please see ingredient listing for specific temp/instructions) with one teaspoon of brown sugar and the packet of yeast. Let stand for about 7 minutes until foamy (see photo above). If your mixture does not foam, your water was probably not the right temperature and your yeast is not activated! In a small bowl, pour the warm milk over the remaining two tablespoons of brown sugar and stir until the brown sugar is dissolved. 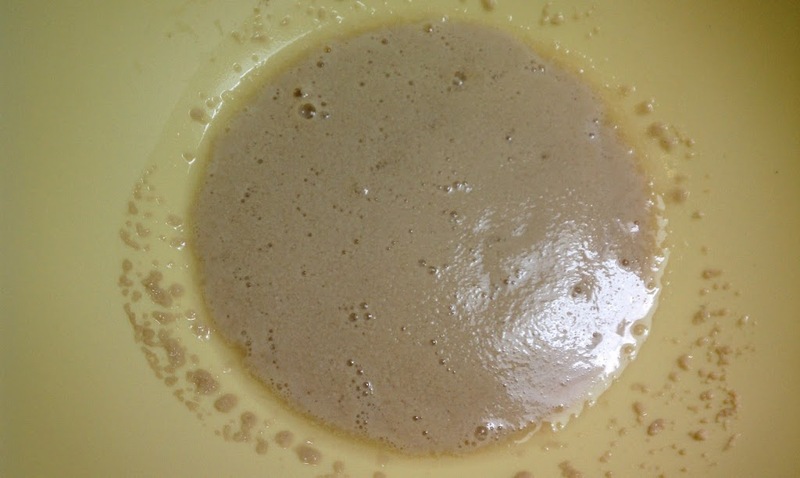 When the yeast mixture is foamy, add the milk mixture and the flour and stir until combined into dough. On a clean, floured surface, knead the dough a few times with your hands and form into a ball. Lightly mist a large bowl with cooking spray and place the dough ball at the bottom (see photo above). 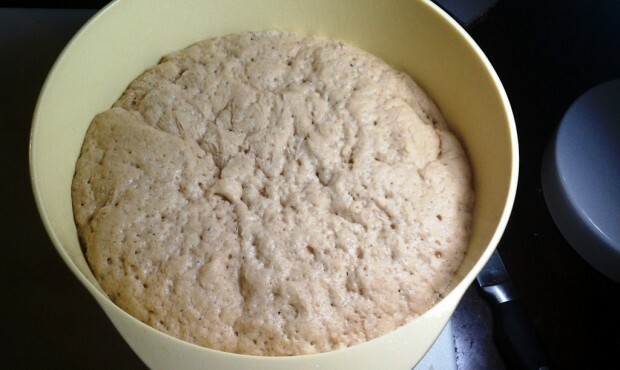 Cover tightly with plastic wrap or aluminum foil and let sit for 2 hours until dough has risen and doubled in size (see photo above). Line two large baking sheets with parchment paper and set aside. 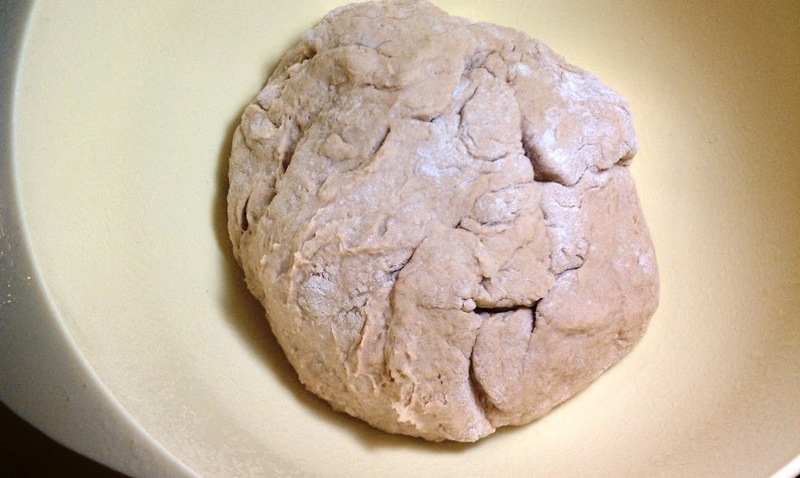 Split dough into four equal-sized balls. Also split diced ham and shredded cheese into four even piles. On a clean and lightly floured surface, roll one of the dough balls into a 12” x 4” rectangle, with the long side facing you. Sprinkle ¼ of the ham and ¼ of the cheese across the bottom third of the dough. Starting with the filled bottom end, tightly roll the dough over the filling into a tube shape and lightly press down the outer edge. 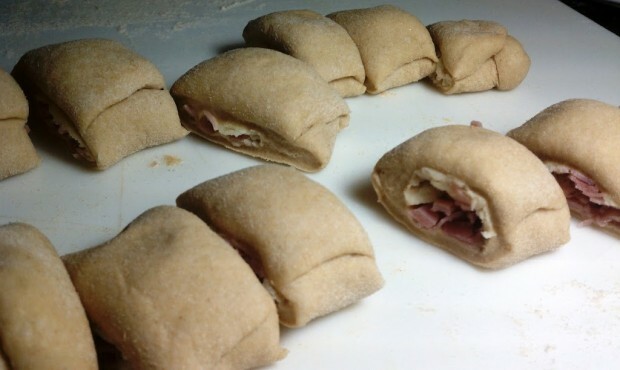 Cut the dough roll into 12 equal pieces (about 1” each) and place them on the prepared baking sheet (see photo below). Repeat with the remaining ingredients. You should have 48 pieces. Let pieces sit, uncovered for 30 minutes. Preheat the oven to 400 degrees. In a medium pot, bring 6 cups of water to a boil. Add the baking soda and reduce to a simmer. Using a slotted spoon, add the pretzel bites a few at a time and boil for 20 seconds, flipping once halfway through. Pretzels will puff up during this step. Use the slotted spoon to drain the water off and return the pretzel bites to the baking sheets. Bake the boiled pretzel bites in the oven for about 15 minutes until golden brown. Remove from the oven and brush the pretzel bites with the melted butter. Sprinkle with salt and serve! I recommend serving with a dish of mustard for dipping. These look amazing! Can’t wait to try them! I have never worked with yeast so it should be interesting! I never had either, Jennifer! I messed up the yeast the first time around by using water that was too hot, so i figured I should include a picture of what it looks like foamy. As long as your water isn’t too hot or cold it should work just fine! You make me want to make my own pretzel bites again. Try stuffing them with hotdogs. So good. Emily, my dough is rising in the kitchen right now. Thank you for your VERY specific directions! As someone who calls herself a “good cook,” I don’t work much with yeast, and I’m so glad I was successful on the first try! I have these in the oven right now. I lost some filling while boiling them for 20 seconds but I blame my husband for rolling those pretzels (I’m passive aggressive lol). I hope they taste good because they take FOREVER to make LOL. Thanks for posting healthy snacky recipes! @Anonymous – Definitely blame your husband, it’s easier :P. I was surprised that I didn’t lose the filling in mine when I made them. This recipe is definitely time commitment. I hope they turned out well and you feel like they were worth it! Okay. They were REALLY good. I made two batches with different cheeses. I made one for me with WW friendly cheddar cheese and one for my husband with habanero cheddar. His were WAY better lol. I think next time I’ll make these with swiss. Definitely worth the time and effort thanks again. I have the crustless pumpkin pies on the menu for later this week! I just inserted this recipe in the WW recipe builder. You have yields 12(4 bites) WW pt+ 1 pt for each??? If you divide it up as 12 servings they are 4pts a piece??? Habanero cheddar sounds yummy! I used extra sharp cheddar and it was delicious. Hey Emily! I tried these, and they just did not come out well. The taste and concept was there, but they really fell apart at the water/baking soda phase. I really was left with minimal cheese in this, and then what was left of the cheese, melted out during the baking process. What gives? I cook all the time, and spent a lot of time on these, and was kind of disappointed. Did you run into that problem at all? Emily, that’s such a bummer! I know these take a long time to make so I would be really diappointed if that happened to me as well. That didn’t happen to mine at all, as you can see in the photos, mine stayed stuffed during the boiling process. The only thing I can think of is that maybe your dough wasn’t rolled tight enough? I rolled mine as tight as possible and nothing fell out. My cheese didn’t even really leak out during baking and I think it’s because the boiling process kind of sealed it in there. If you’re willing to try them again maybe next time you can pinch the sides shut before boiling to keep the filling in? Sorry these didn’t work out for you. Emily these look so amazing! I know this recipe is from last year, but I just came a cross your website…I dont do WW, but I watch my calories and i would love to know how many calories per serving..im trying to find differnt snacks to make.. I am currently working my way back through my older recipes to add nutrition information, but I haven’t gotten to this one yet. I will try to get to it soon! If you need the NI before then, I calculate it using the recipe builder on http://www.myfitnesspal.com which is free for anyone to use. Hope you like them! These look great! Do you think you could make them ahead and freeze them? I’m guessing yes, though I haven’t personally frozen them. If you do, let me know how they turn out! Sorry, I have never used a bread machine! These are baking in my oven right now. I was going to do them in a bread machine but you’d have to proof the yeast first. Put the flour in then the liquid ( proofed yeast and milk with b sugar). OMG!! These came out SO good. Whole family loved them. IMO they could use more ham and cheese. next time I will add more, but definitely a favorite friday family night dish. 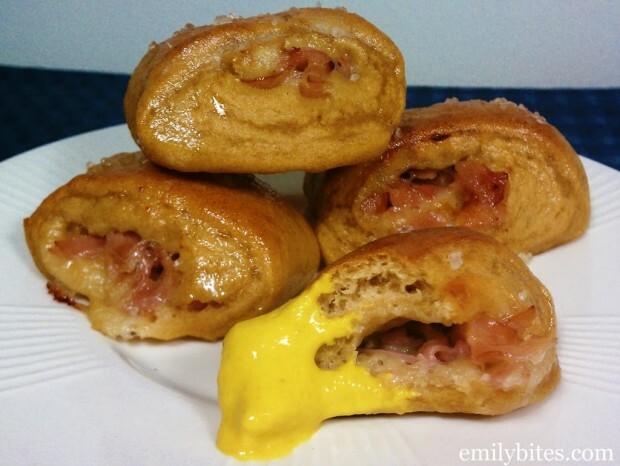 I think I will try philly cheese steak filled ones next time too. Thank you so much. I LOVE LOVE LOVE your blog!! My kids live these. We don’t fill them since they like them plain. So far they are better than the mall and grandma! Thanks. I’ve never tried refrigerating it but I don’t see why not – let me know how it turns out!